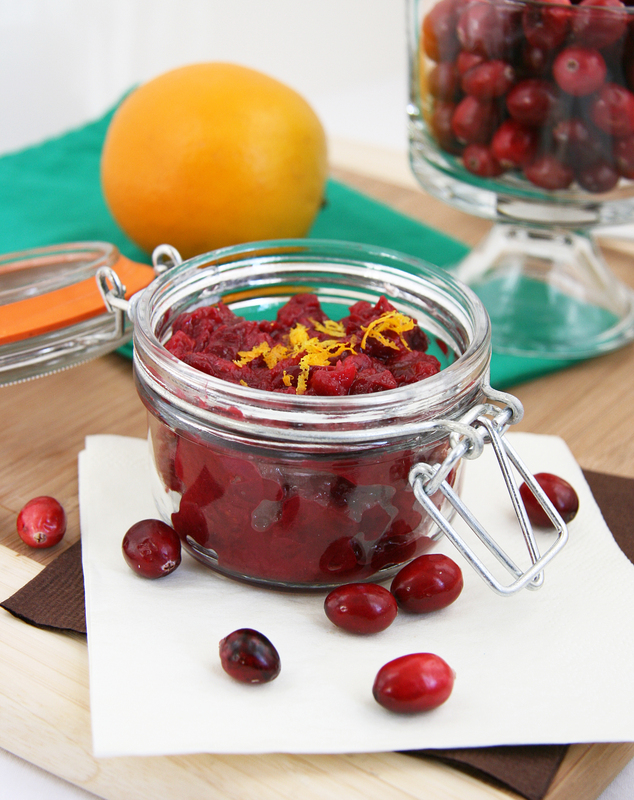 Cranberries are one of those fruits that I tend to crave around the holidays. Maybe it’s their bright red color that just reminds me of Christmas time or maybe my body’s telling me I need more fiber, vitamin C and antioxidants that are found in these bite-sized ruby berries! A little tart, a bit sweet and so versatile, cranberries are the perfect compliment to cookies, bars, cakes and other baked goods. 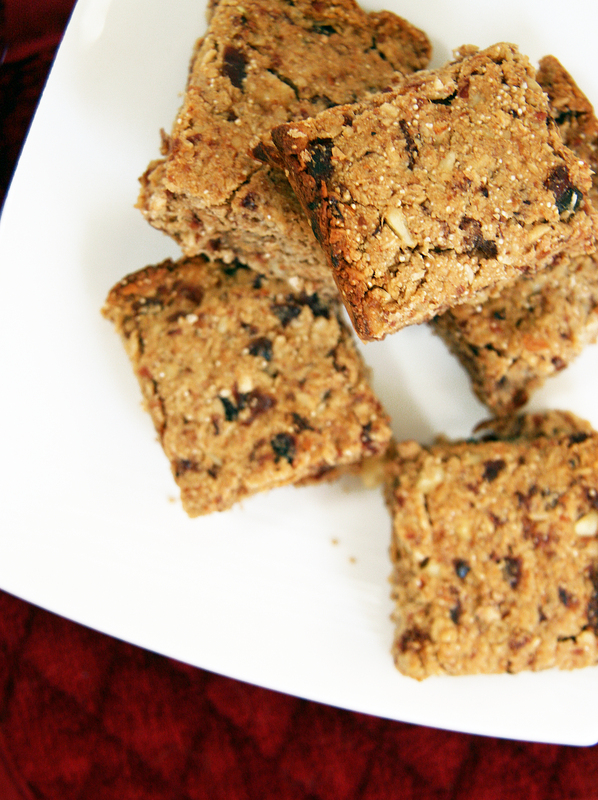 I made a batch of cranberry bars last week and they suddenly disappeared…they were the perfect snack after a run, an on-the-go breakfast bar or a treat when I’m craving something sweet but non-chocolately. These bars are sweetened only with fruit and do not contain any added oil, just natural and healthy fats from coconut and almonds, thus making them the ultimate guilt-free snack. They are packed with nutrition and energy, so whip a batch for a quick accompaniment to breakfast, pre or post-workout snack or a lightly sweetened dessert! 1. In a medium bowl, add cranberries and orange/apple juice, cover and microwave for 30 seconds. Let sit covered until cranberries have mostly cooled and have softened. 2. Preheat oven to 325 F. Line a large loaf pan with parchment paper or grease with coconut oil, butter, ghee or earth balance. 3. Add cooled cranberries to the bowl of a food processor along with the shredded coconut and chopped almonds. Process until it resembles a paste or until desired texture if you prefer a more chunky consistency. 4. Pulse in the flours, salt, baking soda, egg and vanilla extract until all is incorporated. Mixture will be thick. If mixture seems too dry, add a tablespoon of orange juice or apple juice and pulse again. 5. Spread and press into prepared pan and bake for 20 minutes. Let cool, cut into squares and enjoy! 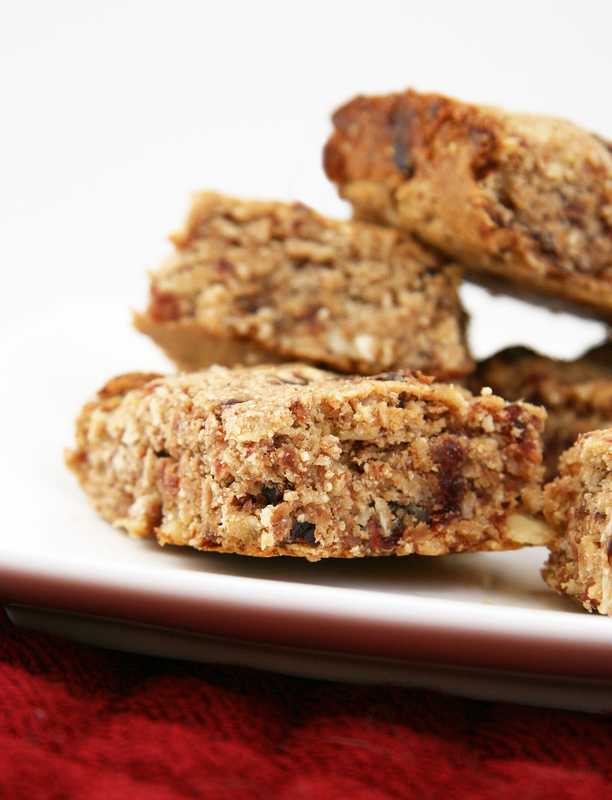 *For vegan bars, try substituting a flax or chia egg in place of the egg or even blended tofu. Yum bars is the perfect name for these. They look just that… YUM! Plus, the list of ingredients is just perfect. I will so be making these, and I so can’t wait! You temptress. Making us wait for more recipes 🙂 I love how hearty these bars look, like they are very satisfying on their own. 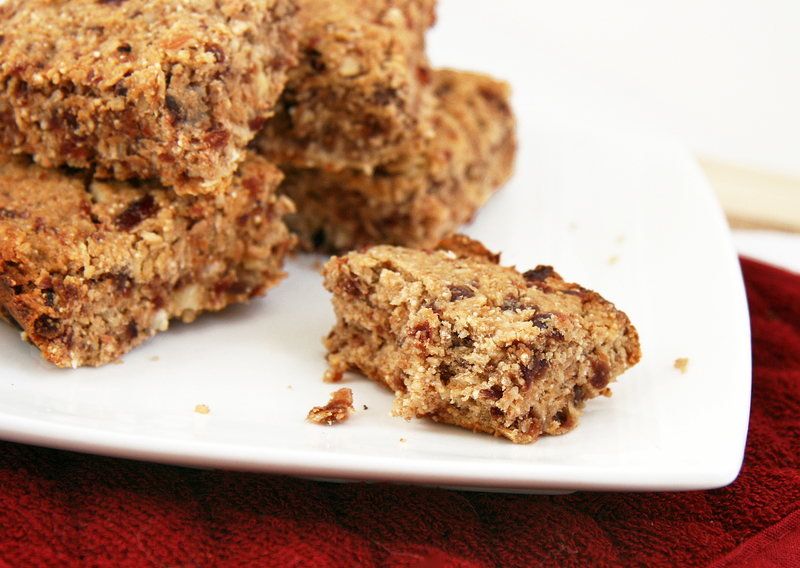 These bars definitely can stand alone as a filling snack – lots of good energy!